Kitchen Design Think Tank: Hey Blue Eyes! 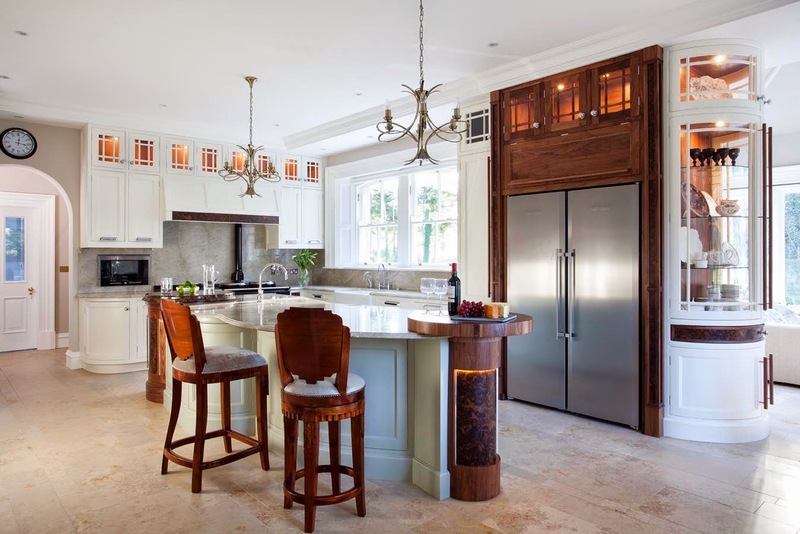 Mick De Giulio is argued to be one of the best kitchen designers in America and going by this example it is easy to see why he is in the running. This design says a lot of things to the viewer and The Moguls knee jerk reaction is to shout out medieval contemporary! Contemporary because of the dark wood slab doors, mixture of t-bar and recessed grip handles and acres of muscle bound, stainless steel appliances. Medieval because of the handle peppered doors between the tall appliances and the luxurious stone! Oh yea..in case you hadn’t noticed that blue stone on top of the free standing serving table...The Mogul thinks that it defines the entire space and is absolutely beautiful! Some people perceive contemporary kitchen design to be cold and clinical but this design dispels this notion completely!